Hassle-free Prague airport transfers by comfy air-conditioned Mercedes-Benz vehicles. 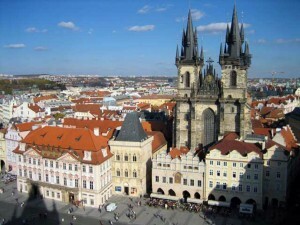 Allow us to show you the best Prague attractions during our private Prague city tours. Private guide and driver at your disposal - NO chaotic multilingual bus city tours! 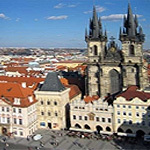 Private transportation to/from Prague all over the Czech Republic and Central Europe. Private flights from Prague to 13 destinations in Europe and sightseeing flights. We can organize a tailor-made trip, transportation for your wedding or event. Anything is possible - just ask us! Having almost 15 years of experience with individual travel & transport services in the Czech Republic, private tours to popular Czech attractions and individual Prague city tours, Continental Travel has become one of the leading limousine service companies in Prague. With our individual approach, we can help you tailor the right private sightseeing tour covering the best Czech attractions. The Czech Republic is a perfect destination for your trip due to its rich history, abundance of sightseeing attractions, good infrastructure and its location in the very heart of Europe. Prague (Praha in Czech), the capital of the Czech Republic, will be an excellent base for your trips to the popular Czech landmarks or even trips to the nearby countries such as Austria, Germany, Hungary, Poland, Slovakia. As Prague has been mostly spared from air raids during the World War II, its historic center is well preserved and inscribed in UNESCO. This and the comfort of a modern European city makes Prague the most popular Czech attraction, but we encourage you to explore other beautiful Czech landmarks as well - did you know that there are 12 UNESCO sites in the Czech Republic? Private trips to these attractions by a limousine or a mini-van are our speciality. The Czech Republic is a member of EU and belongs to the Schengen Agreement borderless zone, so you do not need an extra visa when travelling to the surrounding countries if you have the visa to the Schengen Agreement borderless zone or you are from the Schengen Agreement zone (kindly obtain the latest information from your embassy). Why should you visit the Czech Republic? Allow us to show you the best of Prague, one of the most romantic cities in Europe! 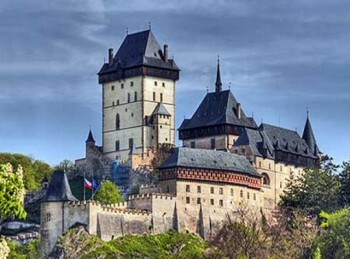 Conquer the famous Czech castles! There are so many of them!